Every year we have a star on the tree. 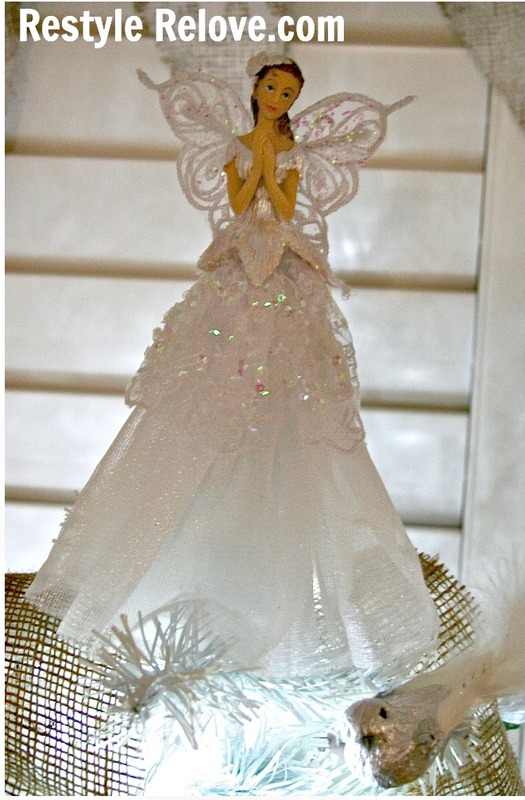 This year I splashed out on the perfect angel. Not a cheap angel, a perfect angel that looks a lot like my beautiful daughter. And that being the case, you know its the one you just have to have! 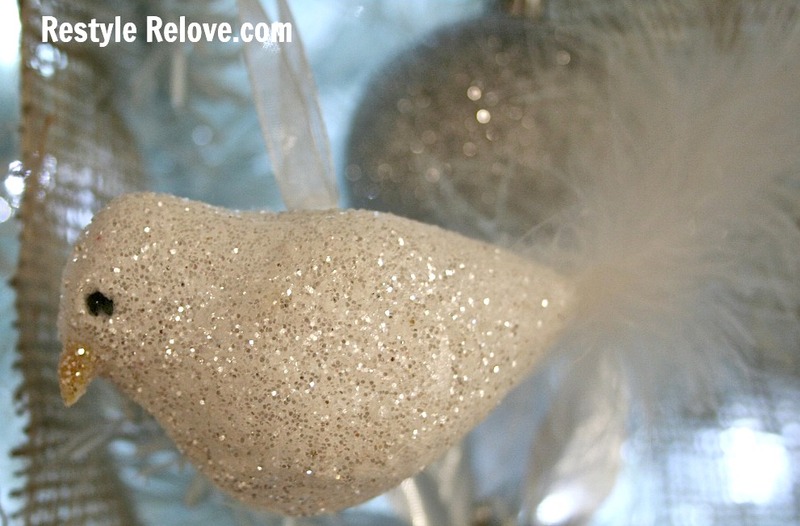 Last year post Christmas sales I also purchased these really cute little white glitter birdies with feather tails. I think they were around 50 - 75% off. So cute, don't you think? I purchased a pile of pinecones last year, and didn't really get around to doing much with them. This year I decided to show them off on the tree. 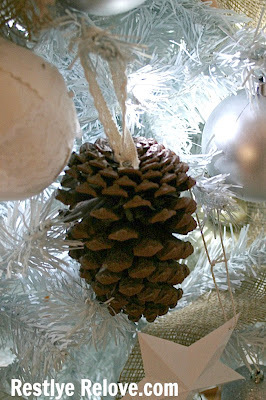 I attached some eyelet cotton lace with a small screw to each pinecone to hang them. I love how the brown breaks up the white. 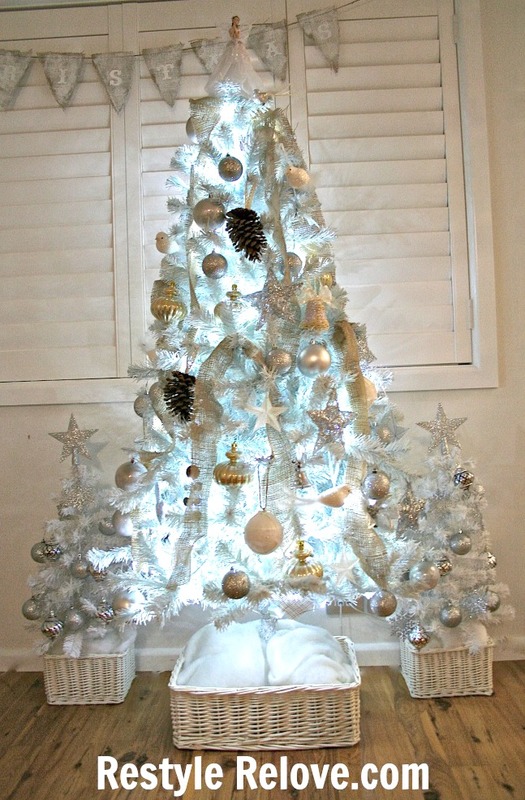 I also purchased the 2 smaller white trees last year in Big W for the bargain price of $5 each. 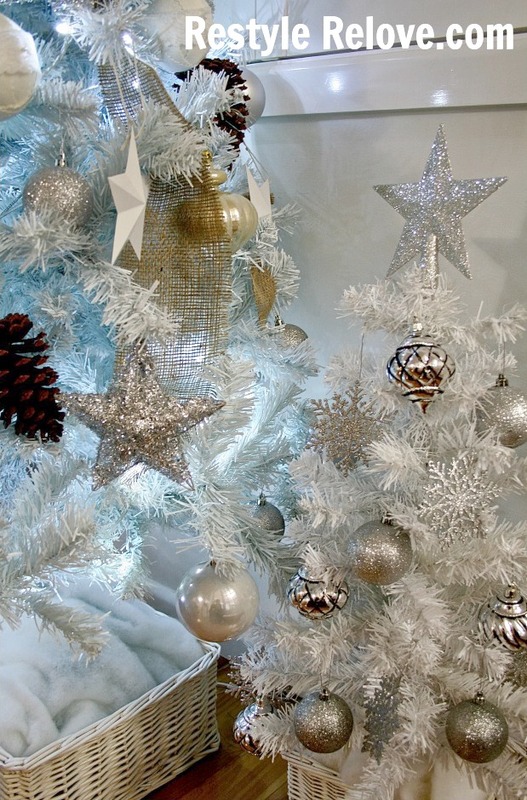 This year I splashed out a dollar each for the glitter star tree toppers. The little trees match the big tree perfectly and now I have a little forest growing in our sun room. :). That is also another change, we usually have the tree at the front of the house in the lounge room. This year it just felt right not to have to show it off in our front window. You can see the lights twinkling better from the lounge room looking into the dimly lit sunroom at night too. 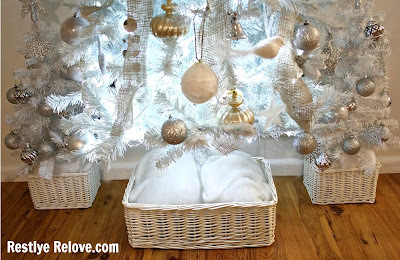 The white baskets were waiting to serve a purpose and the faux snow is some leftover padding from a quilt I made, simply tucked in around the base of the trees. I could tie some ribbon around the baskets, we'll see. 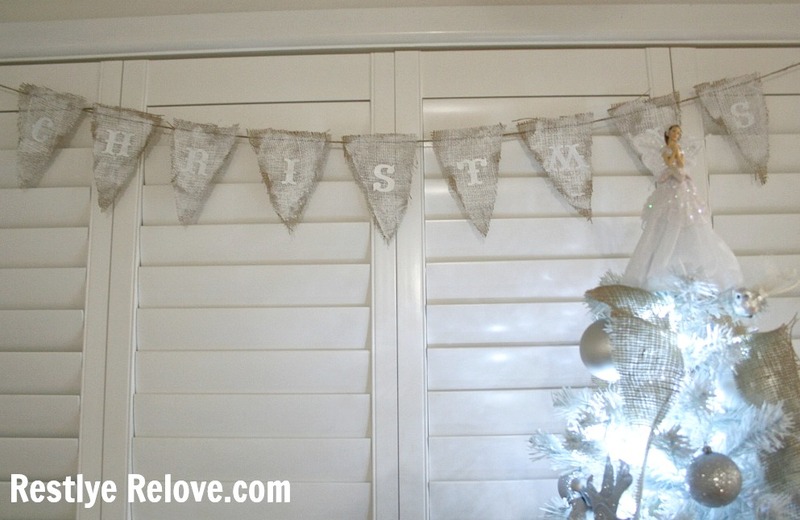 I had pinned a picture of a Christmas burlap bunting last year and this year I thought I'd make one. 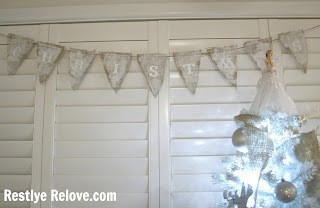 I had all materials on hand, including burlap, jute twine, white paint, and some press out cardboard letters. I love the way it turned out and it sits beautifully over the windows behind our Christmas tree. Of course there are still some projects on my list like adding some old book page stars to the tree, but this year I don't feel the pressure to put on a big Christmas display through the entire house and spend every spare minute creating and sprucing. I'm happy just to get it looking nice gradually and say sure I could do more, but more is not always better. I'd rather spend more time doing Christmas crafts and baking with the kids. Isn't that what the holidays are all about, after all? Beautiful Julie! Love that white!